Do you need to wipe your free disk space to prevent any data recovery? 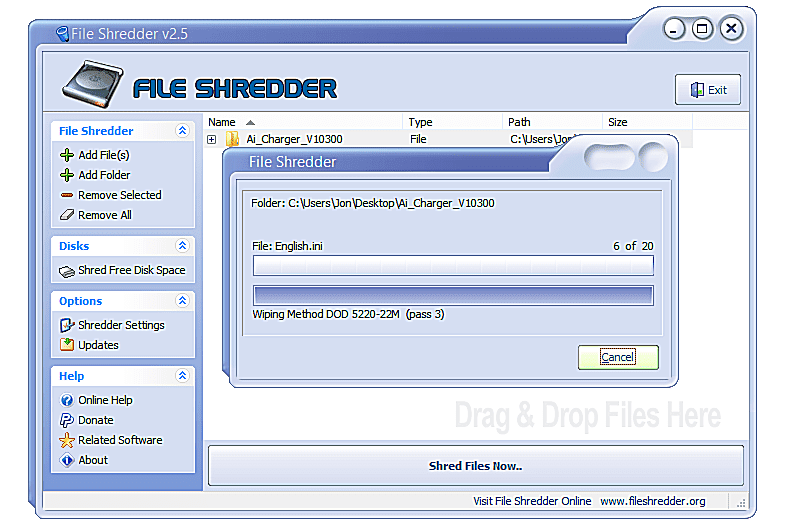 Well, check this list of the best tool to wipe free disk space securely. Let’s suppose for a moment that you have dedicated yourself to manage a certain number of files on the hard disk, having had to erase a large amount of information that for you was already useless. With the tools mentioned below, the free space will be cleaner than ever, being virtually impossible to recover any information that may have been hosted in any of the clusters of our storage device. The first thing you must consider at this moment is that it would be necessary to make an integral backup of all the contents of your hard disk towards a completely different one (an external one) if the process fails. I always wanted to keep the information in a safe place so that it isn’t stolen; and even, in extreme situations, I have chosen to delete them (empty the bin) of the computer. But have the data on the computer been erased? The answer is no. When you delete a file, either from the bin or directly (shift + delete), we do not finish it correctly, since the file leaves a trace of where it was, etc., so that if it were stolen the computer or any storage device, would be able to recover your data. 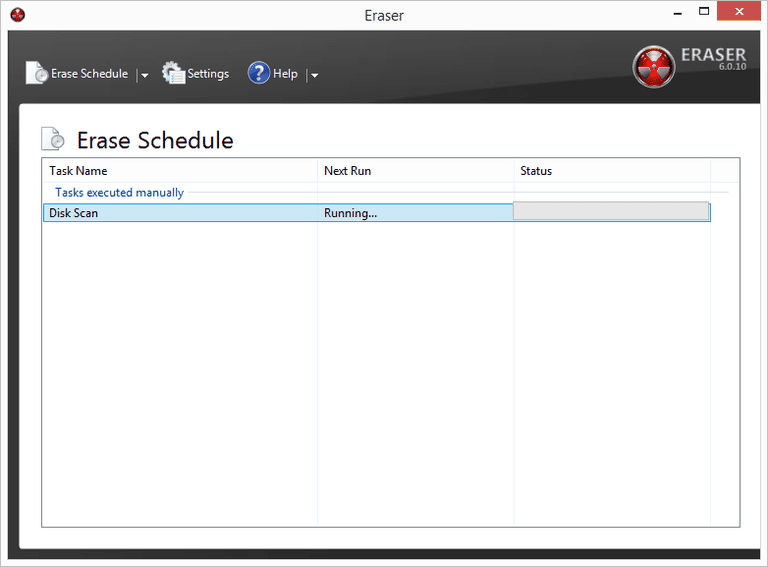 But for this to not happen, you have software called Eraser, which will allow wiping free disk space securely. Eraser is a handy and straightforward program to use. First of all, you downloaded the program and installed it. It is a free program. Once this is done, Eraser creates some links in the right-click menu (when clicking on a file). It offers two possibilities: delete the file completely (Erase) and move it safely, that is, it moves it to the folder you want but without leaving a trace (Erase Secure Move). Many novice users don’t know it, but even if you delete files from your hard drive, they can be quickly recovered if someone has adequate tools and a little knowledge. For this reason, special tools are needed, such as the one I present today, and that consists of several steps to perform your task in the most efficient way possible. Of course, to remove the data and stay calm, it is best to mark the five steps that Moo0 Anti-Recovery offers you, each of which has a progress bar so you can know what their status and progress is. Then it will be a matter of the size of the hard drive, pen drive or memory card that you are “cleaning,” so you can let the app do its homework because it can take a few minutes. Moo0 Anti-Recovery is a tool to wipe free disk space securely compatible from Windows XP to 10. 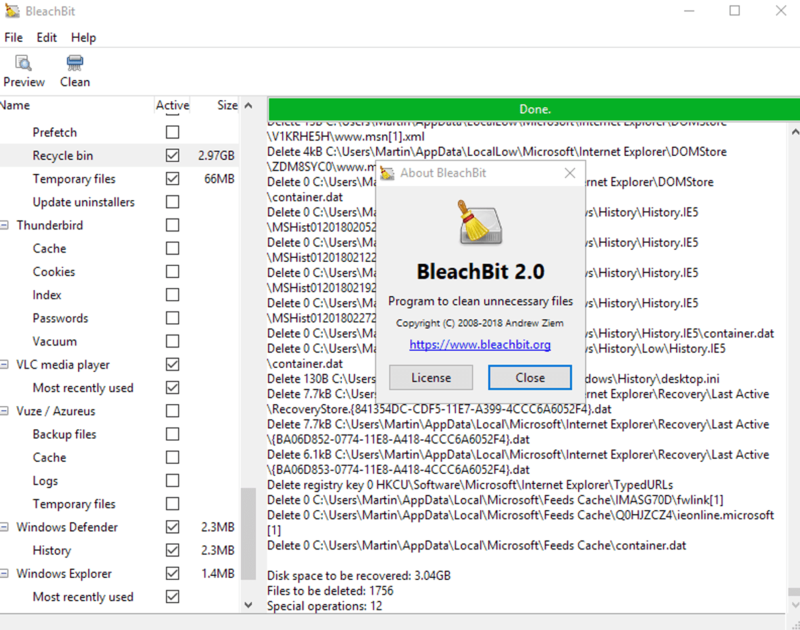 BleachBit is a system cleaner in the style of the popular CCleaner, with the difference being free software that in addition to Windows it is available for Linux, where it enjoys excellent support in what “things” specific to Linux is concerned. According to the description on its official website: BleachBit can free cache, delete cookies, erase Internet history, shred temporary files, delete records and discard garbage that you did not know was there. Also includes advanced features such as wipe free disk space for avoiding recovery. On the other hand, BleachBit includes improvements such as drag and drop files directly on the app, support for cleaning system logs and Debian, Ubuntu and derivatives, PoliciKit support. A complete list of its novelties can be seen in the official announcement. Keep in mind: BleachBit is a fascinating tool, provided it is used well. By default it works in “user mode,” but it is possible to run it with administrator privileges so that the cleaning will be more in-depth. That is why it is important to configure it well and to look even better at the options that are marked (the application itself alerts you when you touch something delicate, but you should pay attention as well). Some people consider BleachBit and software of its category as potentially dangerous in inexperienced hands, but you will not stop making room for it, once again warning that take it with caution and make sure you have understood, before touching anything). And remember: every time a Linux user clears Bash’s history, a penguin dies. Don’t do it. The most relevant and used function of CCleaner is what gives it its name: the cleaner. The program can eliminate all temporary files that are traversed in just a couple of clicks. This includes not only temporary system files but also those of your web browsers and some applications. 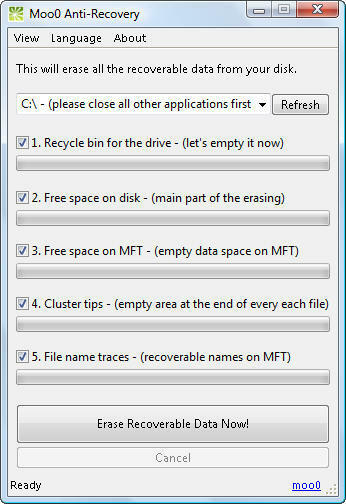 Cleanup Disk Windows can deal with almost all this for you, but in the case of browsers, if you have to do it manually. Here it is important to note that emptying your browser cache or things like Windows Explorer (both CCleaner functions) can harm the speed with which you load the pages or open file folders. Unless you have a minimal amount of disk space, and eternity has passed since you emptied the browser cache, it is better to keep them in memory, since they are files that the system doesn’t need to load again to display a web or list of documents. Undoubtedly one of the best tools to wipe free disk space. SlimCleaner is a system maintenance program that differs from the rest by using a vast community of users, who provide information in real time that serves to improve the performance of the system. Thanks to this information collected in the cloud, you can know for example if a program, service or system component is necessary or on the contrary, it is convenient to deactivate. 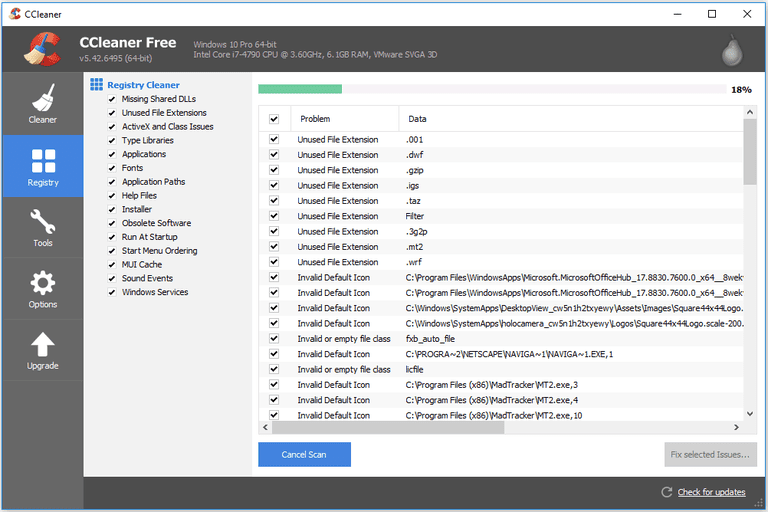 SlimCleaner has tools that allow you to clean unnecessary and temporary files, with an app uninstaller, a secure data erasure function to wipe free disk space, allows direct access to the main windows tools, remove the toolbar. You can also perform reports HijackThis giving the possibility to eliminate the threat and enables to control the operation of hardware components of our computer such as CPU and RAM. 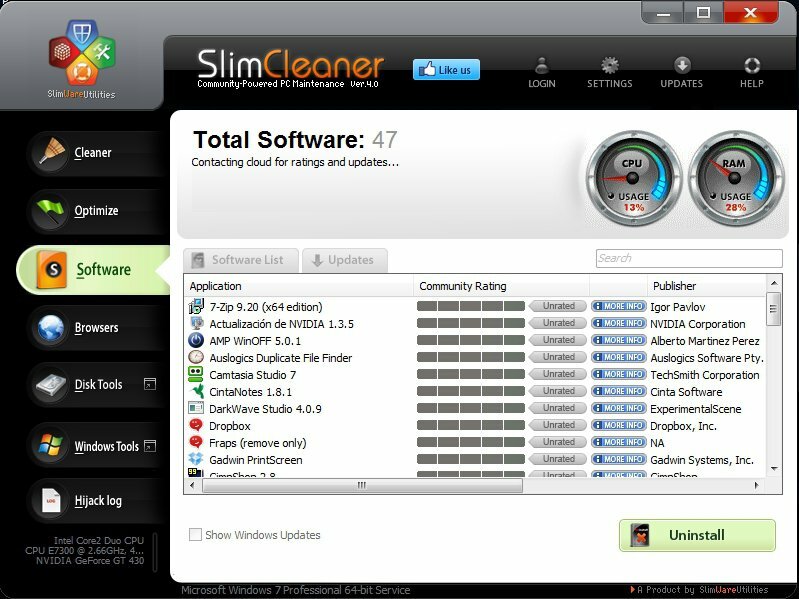 SlimCleaner is an exciting system maintenance suite completely free, which has the incentive of having a portable version (it is created from the Settings/Install Portable Version menu) ideal to carry on your pen drive and is compatible with Windows XP operating systems, Vista and Windows 7, 8 and 10. SlimCleaner has an attractive and friendly interface, which greatly facilitates the user’s handling of the program and access to its countless options and tools. The most attractive part of this tool to wipe free disk space is in its interface. From there, the user will only have to select the disk unit (one or several) and subsequently, the type of cleaning that is desired. This means that you could get to select a certain number of overwriting steps on each of the blocks of the hard disk so that the cleaning is deep and safe. Disk Redactor is another tool to wipe free disk space that works similarly to the mentioned above. The most interesting is that the tool operates in the background, this being a great benefit because, with it, you should not suffer any slowdown in the operation of any tool with which you are working. So far those were the best tools to securely to wipe free disk space to avoid any data recovery, so if you have some sensitive data that you want to erase securely, download any of these tools.